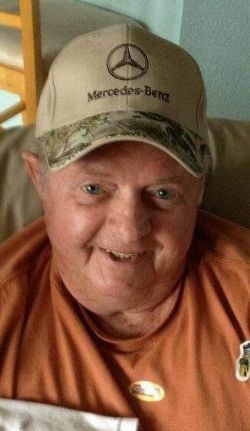 4/7/2019 from 1:30 P.M. - 3:30 P.M.
Joe B. Gibson, 84, of Greenville, passed away on April 3, 2019 in Greenville. Funeral services will be 3:30 P.M., Sunday, April 7, 2019 at First Baptist Church, Greenville with Dr. D.D. Sumrall, Jr. officiating. Visitation will be 1:30 P.M. until service time. Coker-Mathews Funeral Home is in charge of arrangements. Burial will be in Forest Park Cemetery. Mr. Gibson was born in Dallas, Texas on January 18, 1935 to Andrew Gibson and Ethel Henry Gibson. He married Janet Beery on June 1, 1956 in Colorado Springs, Colorado. He worked in the automobile business, was a veteran of the United States Army, a member of First Baptist Church of Greenville and the Elks Lodge. He is survived by his wife, Janet Gibson; son, Brian Gibson and wife, Lori; grandchildren, Stefani Maiwelmal and husband, Travis, Kyle Gibson and wife, Shaely, Nicole Haynes and Sarah Williams; great-grandchildren, Gregory Bedford, Addison Bedford, Emma Bedford, Charlotte Bedford, Kathryn Bedford, Mason Haynes, Spencer Williams, Tavin Maiwelmal, Hudson Maiwelmal, Case Gibson and Allie Jo Gibson. He is preceded in death by his parents, son, Gregory Gibson, daughter, Kathleen Williams- Mills and sister, Helen Person. Pallbearers will be Brian Gibson, Kyle Gibson, Travis Maiwelmal, Mark Olach, Perfecto Perez and Chance Donaghe. Honorary pallbearers will be Bill Malone, Bob Scott, Paul Davis, Jerry Boone, Joe Winniford, Charles Ranly, Gary Hatfield, John Gonzales, Bob Ferguson, Jacky Garner, Phillip May, Jamie Howland and Simon Maiwelmal. Memorials may be made to a charity of your choice in memory of Joe.